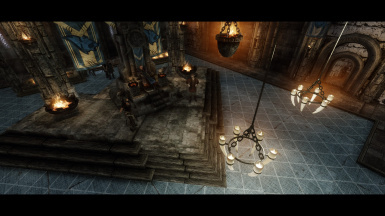 A large, complete overhaul of 5 major palaces and castles in Skyrim. 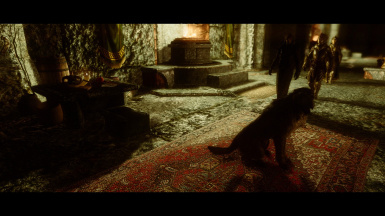 [*] All of the patches for SSE edition are now flagged as ESL. Fixed CTDs upon entering the interior cell. 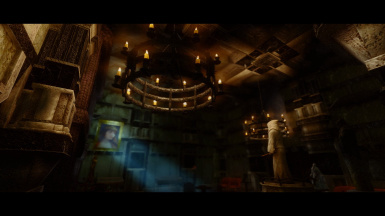 Removed several decorative items in Farenger's room. Added 2 new Community Patches. Don't thank me - credit goes to Oooii. 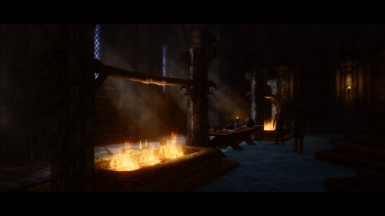 Ulfric Stormcloak will now pray at the Temple of Talos and meditate in Meditation Room early in the morning. The AI packages that were supposed to allow him to do this were not functioning correctly but now are fixed. 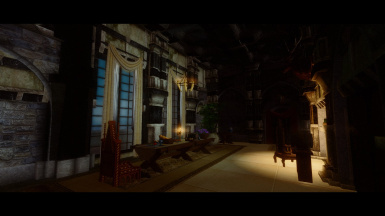 Slightly remodelled the armory area downstairs. Alternate Start - Live Another life Patch...Now it fixes the problem when starting the game by choosing "I am an Imperial soldier" option. 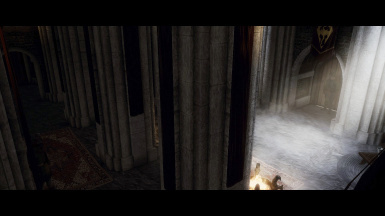 Enhanced Lights and FX Patch...Minor fixes in Palace of the Kings West Wing. 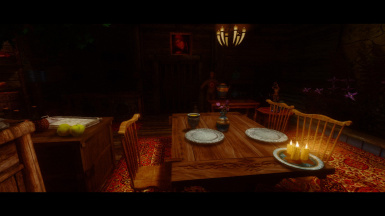 Immersive Citizens Patch...Minor fixes so that Jorleif will use his bed in Upper Rooms when he goes to sleep. 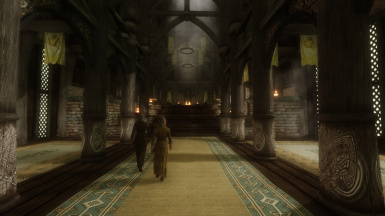 Realistic Lighting Overhaul Patch...Minor fixes in Palace of the Kings West Wing. 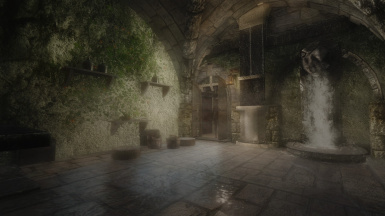 Skyrim Project Optimization Patch...Now it fixes the rendering issue in Castle Dour. 1. 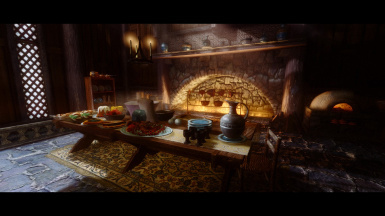 Art of Magicka: The patch adjusts the position of 3 new crafting tables. Use this patch or use Jaxonz Positioner. 2. 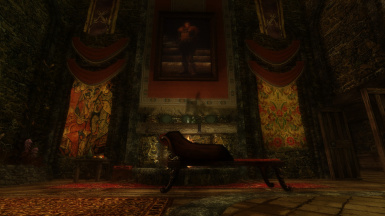 Blue Palace Fresco: Some wall paintings in Blue Palace have been moved so they are aligned with my interior design. 3. Cutting Room Floor: The USLEEP patch is incorporated into this patch. 4. Holidays: There is a festival event which takes place in Palace of the Kings. 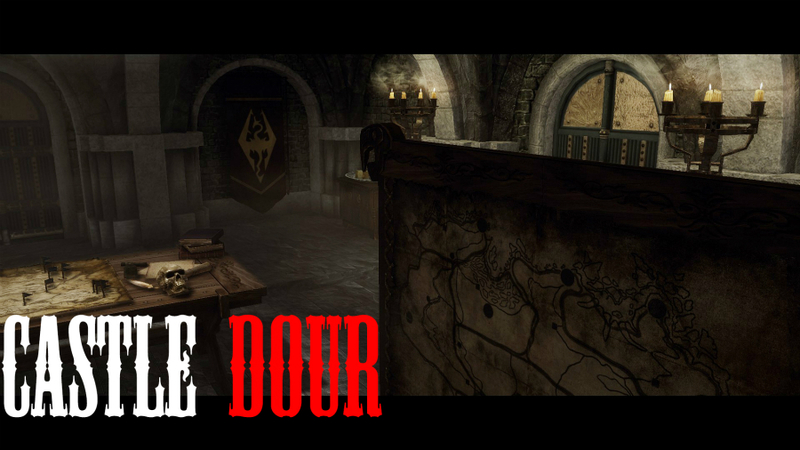 Castle Dour hasn't been changed much. 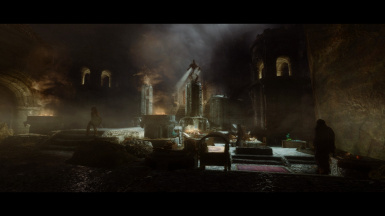 The process of overhauling this castle was several days of easy modding. 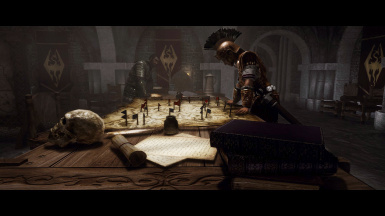 Not much has changed from vanilla and I do not think it will have significant effect on your game play, but you might enjoy the new layout if you're an Imperial loyalist. 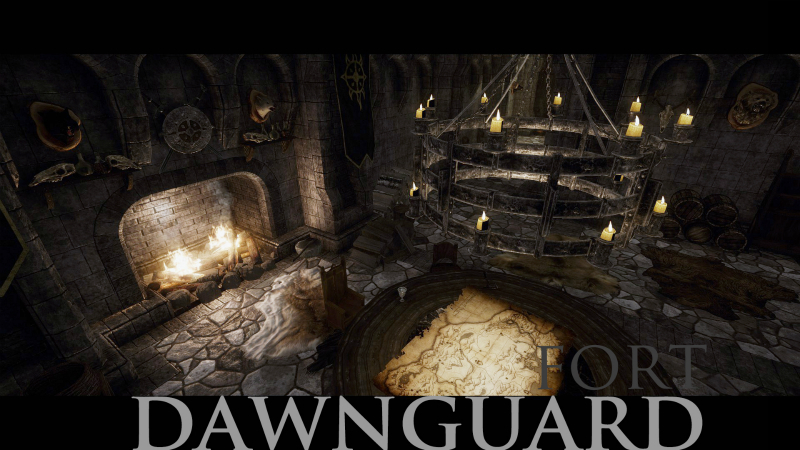 Detailed information regarding new features introduced along with Castle Dour overhaul can be found in the description page. One of the mesh files included in the archive needed fixing as it could potentially be a cause of CTD. Many Thanks to LordMala who enlightened me of this problem and even sent a fixed version of the file. A big thanks to nerd of prey, the author of Immersive Laundry, for his updated meshes for the laundry items that are now used in my mod. They're much better than the original meshes made by InsanitySorrow. 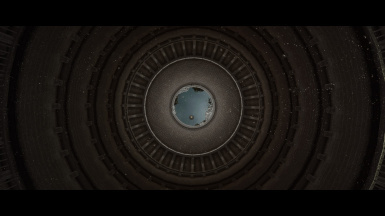 Visual glitches in some interiors are now fixed. An issue with 2 bear statues in Palace of the Kings which appeared purple-tinted has been fixed. Massively grateful to Benitoite, who figured out what was causing that purple glow and showed me exactly how it can be fixed. Thank you very much, Benitoite-san! Many of the painting textures have been renewed. 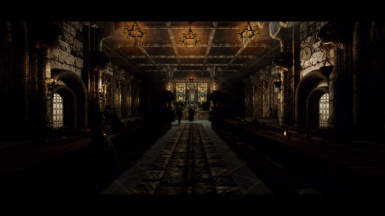 These new paintings can be seen in Blue Palace, Mistveil Keep, and Palace of the Kings. 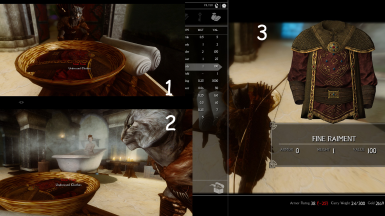 The changes in Navmesh record in Riften Worldspace has been completely taken out. 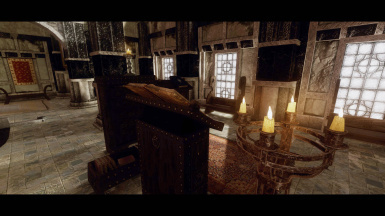 The Stone of Barenziah in Wuunferth's room in Palace of the Kings was not obtainable. I'm sorry, but the issue is finally fixed. 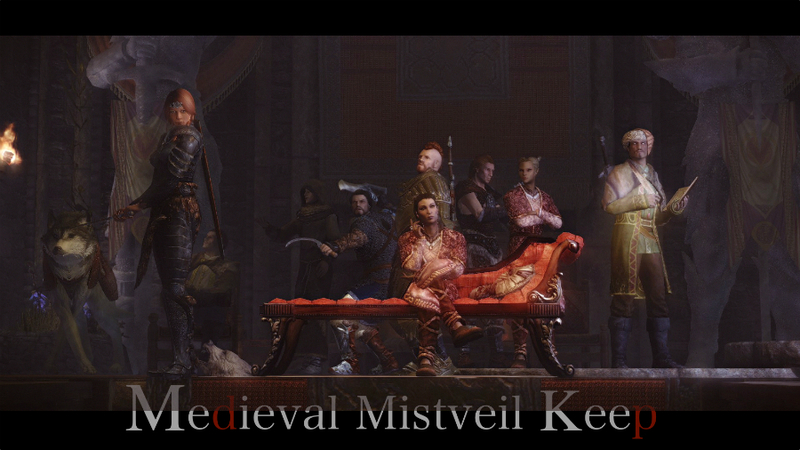 Some of the Palace Guards in Blue Palace will relax in Castle Dour coresponding to the changes I made there. Fixed typo in some of the new dialogue options. Rewrote a script that handles NPCs' outfit changes. 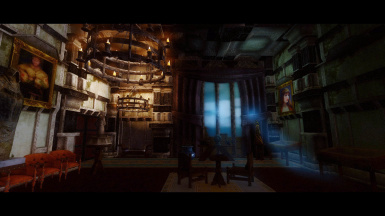 Several minor improvements here and there in various interior cells. Some USLEEP changes were overridden but now in this version they are correctly carried out to this mod. Added a new Add-On: Marked and Droppable Barenziah Stones. 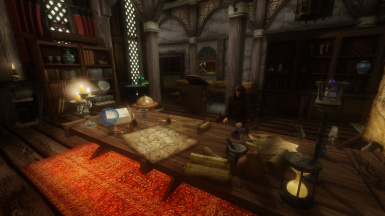 If you wish to locate the Barenziah Stones in the world map use this Add-On instead of other mods that add quest markers to Barenziah Stones. This Add-On will also let you take the STone out of your inventory so you can store them in containers etc. 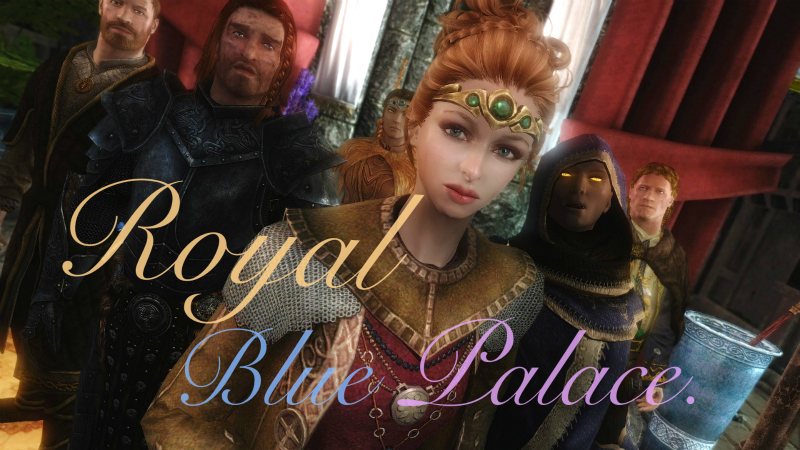 Several minor fixes and adjustments to fix several glitches in Blue Palace, The Parlour in Blue Palace, and Palace of the Kings. 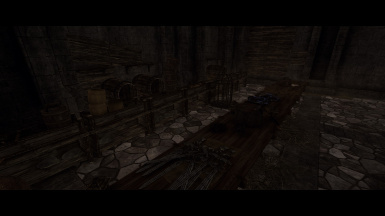 Ulfric's Sellswords now have names. Palace of the Kings has been re-remodeled. 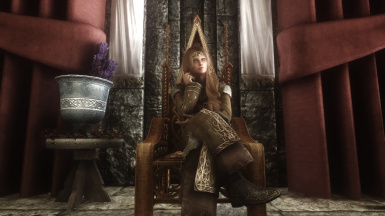 The Throne Room is now much better. 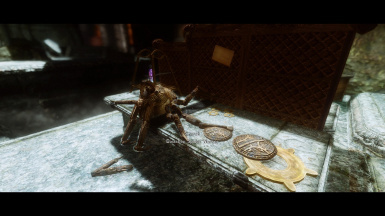 We have 3 more compatibility patches with Shadows, Legacy of the Dragonborn, and Immersive Citizens - AI Overhaul (Full version). 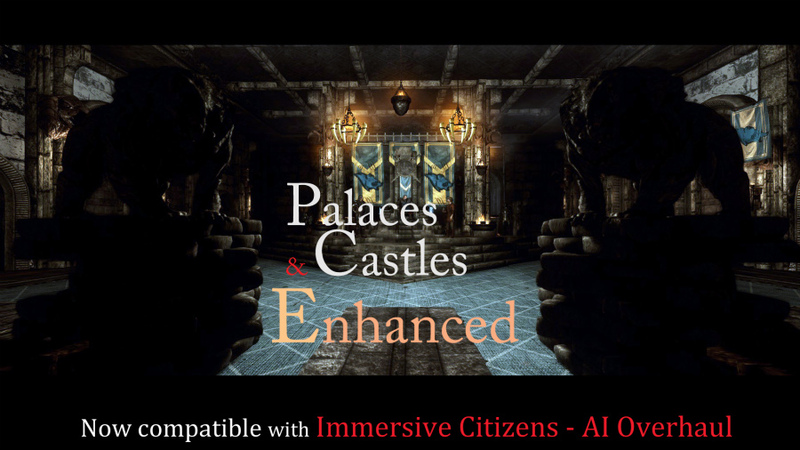 Making Immersive Citizens compatible with my mod has been a very enjoyable process and the result is very rewarding. I thank Shurah fornot only allowing me to create and publish this patch but giving me a detailed instruction about making the patch. 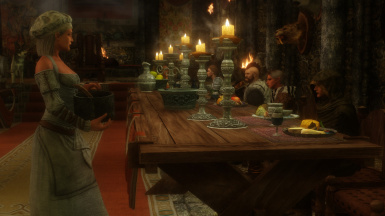 Immersive Citizens patch changes Farenger's bath hour to 5 a.m. so he can join his friends at breakfast. 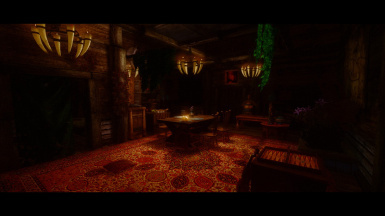 Enhanced Lights and FX Patch, ELFX Enhancer Patch, Interesting NPCs Patch have been updated. 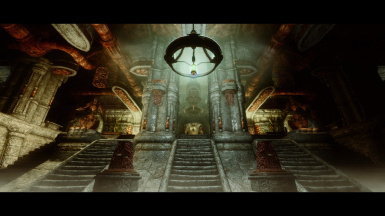 Wrong master record with the patch for Skyrim Sewers's ESM edition has been fixed so this patch is now usable. 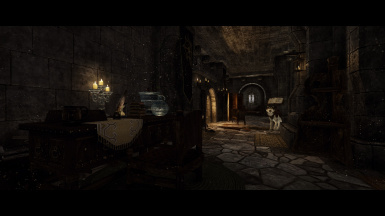 The scene about Balgruuf performed by Ulfric and Galmar have been modified so the scene goes smoothly with the new interior layout. - Added missing lip files for the new dialogues. - "Realistic Exile" This feature has been improved in terms of functionality. The basic dynamics are the same as before. 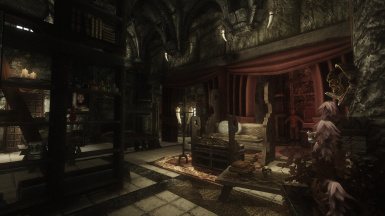 - So-called "Cellar Theft" quest, which is triggered when you enter the Palace of the Kings Cellar has been tachnically improved. 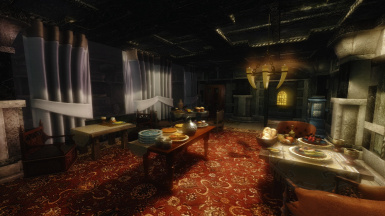 - Minor Navmesh changes in Blue Palace & its Kitchen area. 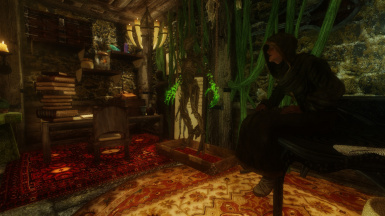 - A fix to the AI packages used by the residents of Understone Keep. 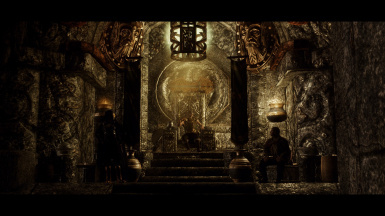 When the city is taken over by the Stormcloaks, the old Jarls and his people will no longer bathe in the bath hall in Understone Keep. 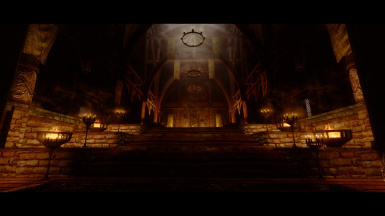 - The corpses of Ulfric and Galmar will no longer persist after their deaths. 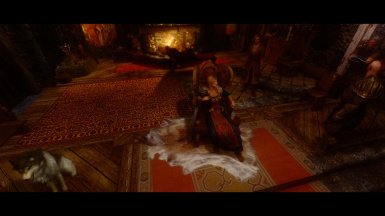 Normally you don't see this issue as long as USLEEP is installed, but some mods you have might overwrite this fix or you might not have USLEEP at all so you may see their corpses lying in the palace anyway. 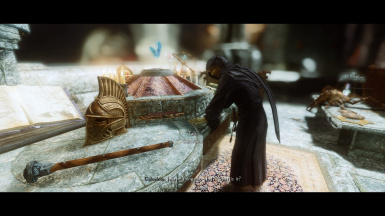 So this mod makes sure that their corpses will be disabled once the city is taken over by the Legion and their items will be confiscated and stored in the chest in Blue Palace. 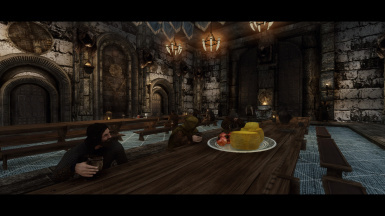 - The conversation scene from Blue Palace performed by Erikur, Bryling and some others have been changed so they won't be triggered outside Blue Palace. 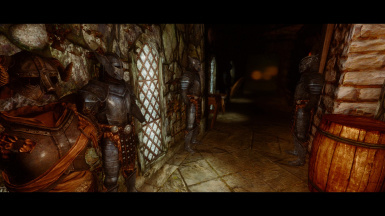 - The AI packages used by the Housecarls and Sellswords in "Battle for Windhelm" have been improved. 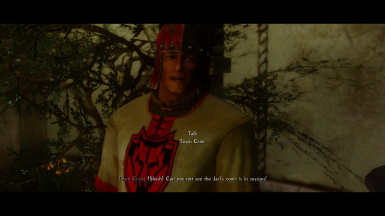 However, in my testings, the NPCs frequently failed to perform as they're instructed when the Civil War quest is running. I have honestly no clue of what can be done with this issue as it would seem that many of the NPCs' AI are either disabled or overridden when the said quest is running. 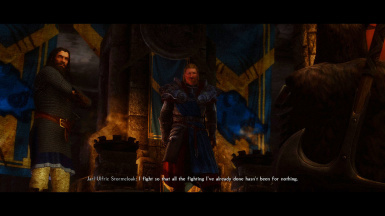 This can result in some odd situations such as the Housecarls and Sellswords never join Ulfric and Galmar to attack Player and just stands there doing nothing. I'll continue to look into this issue. - Fixed them, NMM users had problems with them but now they work fine. Rewrote some scripts. Added new voice files needed for 2 new dialogue quests. The author of Wizard Hats, sirwho, kindly gave me a permission to use some of his resources. 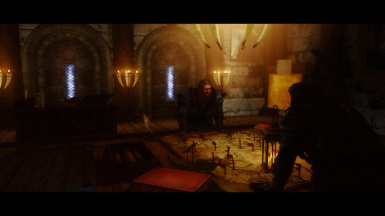 - Added 2 new dialogue quests. 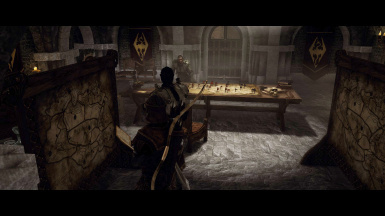 1) The guards might give you a sharp eye if you're wearing something "unsuitable" when you're in the castles. 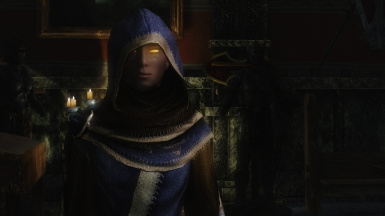 The Imperial guards may tell you to change your armor when you're wearing Stormlock cuirass. 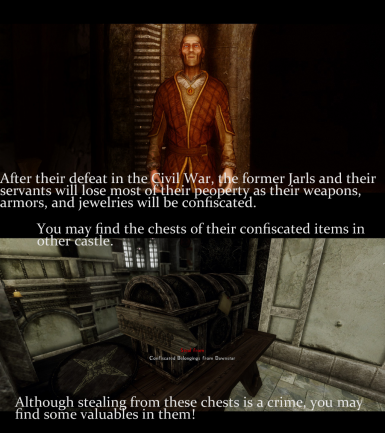 The Stormcloak guards might be upset to see you wearing Imperial armor. 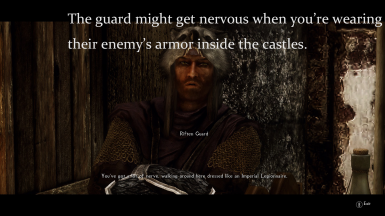 When the guards notice you wearing the Forsworn armor, they might call you a murderer. 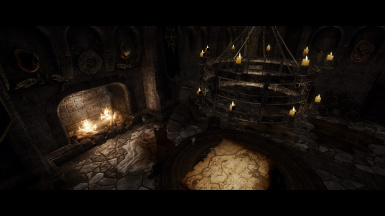 All of this dialogue options will be only triggered inside the Jarl's residences and the Hold prisons. 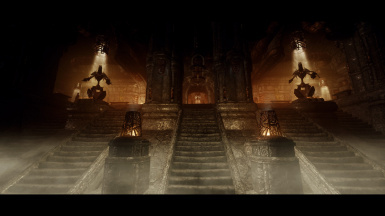 2) A while later when you enter the Cellar in Palace of the Kings, you will sense some kind of trouble. Keep your head low, and be quiet. 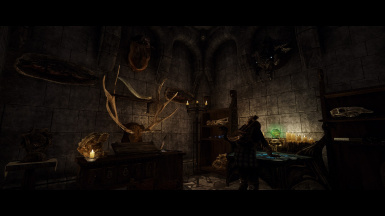 - Wuunferth the Unliving will be wearing a new wizard hat from Wizard Hat mod by sirwho. - A minor fix to ELFX patch. 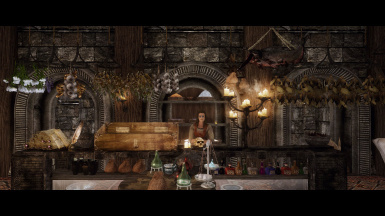 - Added 2 new patches for Holds the City Overhaul and Skyrim Project Optimization. Just a few minor fixes to the esp. Separetd the BSA and the ESP. If you see any of my mods outside of Nexus, IT IS STOLEN. MxR's video showcasing the mod (7:00~). 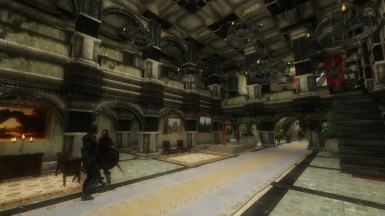 Remodeled interiors for 7 major palaces and castles in Skyrim, including Dragonsreach, Blue Palace, Mistveil Keep, Understone Keep, Palace of the Kings, Castle Dour, and Fort Dawnguard. 18 new interiors. 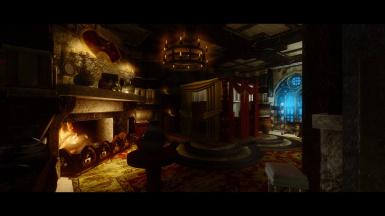 The NPCs inside the castles and the palaces will have new behaviors and daily schedules according to he changed interior layouts and the addition of new living quarters. 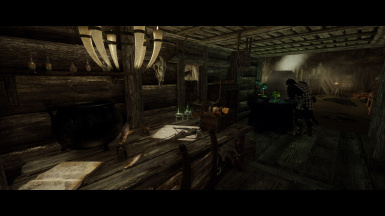 Link to the Original Mod: http://www.nexusmods.com/skyrim/mods/68642/? 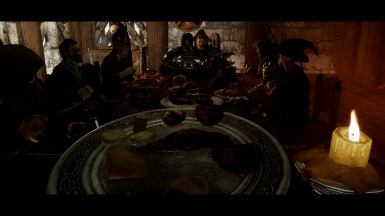 : May not be for everyone as it drastically changes the 3d models of some food items such as raw beef, which may result in some minor havok issues where beefs fly. But the new meshes and textures for tomatoes are so stunning that the mod is worth downloading just for these tomatoes. 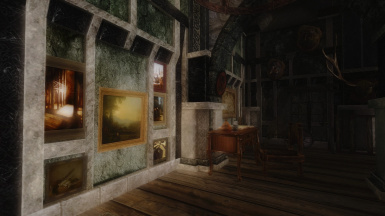 Adrian von Ziegler - All new music scores used in this mod are performed, recorded, shared, and owned by Adrian von Ziegler.